They are great for decorating a bedroom, living room , kitchen, balcony, lobby, corridor or any room that needs a touch of wonder. Hanging pots can be used to hang on the wall or flower stand, adding beauty to indoor space. Firstly we need to decide the packing method. We have three standard ways of packing: carton, single pallet and PP bag. We’ll tell you the proper way of packing for each item because these three packing methods are not suitable for all items. Secondly we pack a stack of pots of a size in a carton/ PP bag or on a pallet. We’ll use EPE or shrink film to protect pot if necessary. Please confirm the shipping mark and label information within two weeks after placing order. A late confirmation might cause delay of shipment or additional charges. our pallet is made of plywood and is non-fumigation pallet. We usually use pallet to pack big pots. Because it can ensure the safety of products while maintaining loading quantity. Only some items can pass drop test. We need to test it before we can say for sure.We’ll charge additional 10% for this requirement. Because we need to use higher standard of packing and the loading qty is less than our normal standard. Buyer agrees to bear the cost of its special requirements exceed the Greenship's standard. Additional 10% will be charged if the drop test is needed. We'll charge additional fee if the qty per carton is less than our specified qty. We'll charge additional fee if the qty per carton is less than our specified qty. Bring modern elegance and natural beauty into your home or office with these planter pots. Beautiful finish designs help give you the perfect touch of modern style, and the interior is just the right size to hold a potted plant and give you a dash of fresh, natural greenery. Choose among various colors and sizes to pair with your favorite plants in your indoor space. With classic modern look, our flower pots will provide an amazing decorative look for all of your plants. Created with stone powder, poly powder and wood dust and designed beautifully, these planters are not only breathtaking to look at but amazingly functional as well. 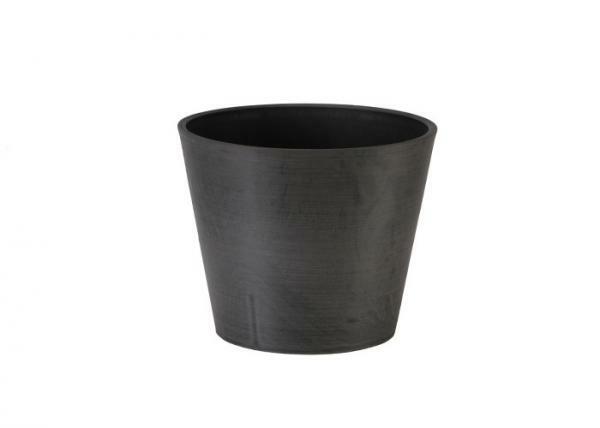 Thoughtfully designed flowerpots, made from durable yet light weight high grade poly powder for years of enjoyment with virtually no maintenance. Each series comes completely different sizes but utilizes the same colors so it harmonizes just perfectly! We have larger planters perfect for taller plants and then smaller ones for your smaller plants. GREENSHIP eco-friendly material use 100% recycled plastic and combines stone powder and wood powder through patented technology. We have completely changed the nature of plastic into a green composite material that could degrade after 10 years of use. Not only did we fundamentally solve the problem of plastic waste, but also we turned waste into a series of flower pots that are non-toxic, degradable and fashionable for high-end market. We successfully create social and economic value for plastic waste. Our flower pots are made of SPW, which makes pots tough, sturdy, waterproof and weather resistant. They are also UV resistant, frost resistant, and will not fade in color and won’t break with a 10-year service life. Greenship garden supplies producing co.,ltd, founded in 1993, is a world-class manufacturer of flower pots, thatch tiles and fence in gardening and building industry. We utilize a unique process to design and manufacture superior recyclable products for the gardening enthusiast. With 30 years of development, GREENSHIP has grown into a high-tech private company specializing in R&D, manufacturing, and exporting. We have established two research institutes dedicated solely for the development of new technologies and molding processes. Researchers have creatively solved a series of technical problems during the development of gardening products. GREENSHIP has successfully invented a composite material which has changed the nature of plastic into something could degrade after 10 years of use. The result is green product that won’t pollute environment again after its life span. Combining stone powder and wood powder through patented technology, we have created a series of flower pots that are anti-UV, stronger than ceramic, durable green products. For 30 years, we have used this leading edge scientific research to refine a proprietary manufacturing process used at our two manufacturing facilities, one in Qingdao and another in Yuzhou, China. We also have trading offices in Zhengzhou and a worldwide distribution network. GREENSHIP’s ongoing investment in R&D insures our customers a constant sources of new and innovative products. We own more than 120 patents in product design and manufacturing craft work, including plant pot, fence and thatch tile. Our products can be found in more than 50 countries in Europe, north America, south America, south east Asia, Middle east and Oceania. We value the opinions and needs of our customers, and we are always working hard to exceed expectations. Nowadays, people becoming more conscious about sustainable development and have actively involved in green undertakings but with few results. Plastic waste,one of the biggest problems, not only pollutes environment and causes visual pollution, but also seriously damages the ecological environment. People need to reduce plastic waste urgently and improve environment.We need revolutionary technologies to solve this problem. Zixue Liu, the founder of GREENSHIP, has invented a revolutionary technology based on his sharp insight and excellent polymer technology, which can thoroughly solve the plastic waste. GREENSHIP aims to be a doer and innovator of solving problem of plastic waste. We hope our green products can help the world become less white, more green.